Custom Pocket Knives Personalized in Bulk. Promotional, Very Inexpensive, with Pouch. Lowest prices in the USA and Canada. Excellent Quality. Stainless Steel Blade with Aluminum casing, Belt Clip, Key Ring Cut-Out Loop. 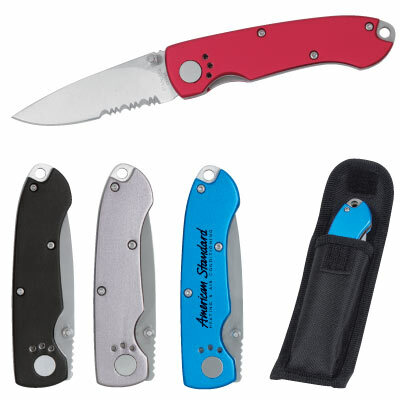 Bulk Pocket Knives, custom imprinted with your logo.